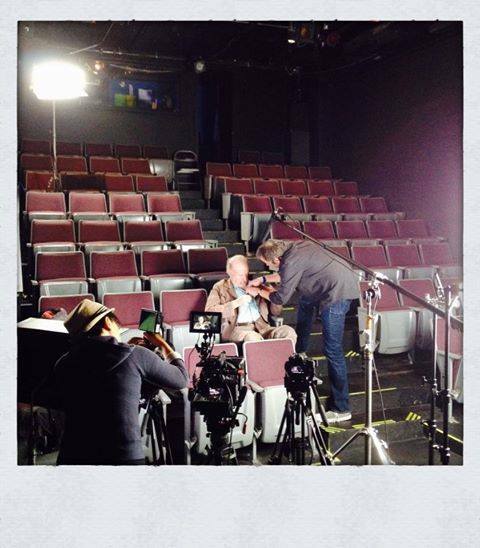 A wider view of our setup for this weekend’s shoot with Jim Cranna at Stagewerx. Thanks especially to our Kickstarter backers for making this work possible. Pictured: Jamie Wright, Jim Cranna, and Peggy Peralta. Photo by Justin Chin.